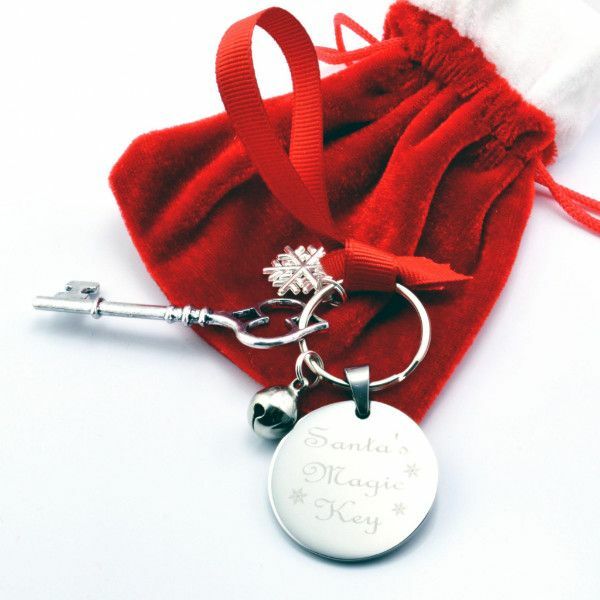 A lovely personalised santa key, perfect for your little ones (and big ones) to hang up for santa on christmas eve so he can enter your house. If you havent got a chimney for santa to climb down then this a lovely way to create some christmas magic for the children. This key can then be used each year as part of your christmas traditions. To order just add your personalised requirements in the box opposite, upto a maximum of 40 characters including spaces. Your key will come packaged in pretty festive christmas bag.